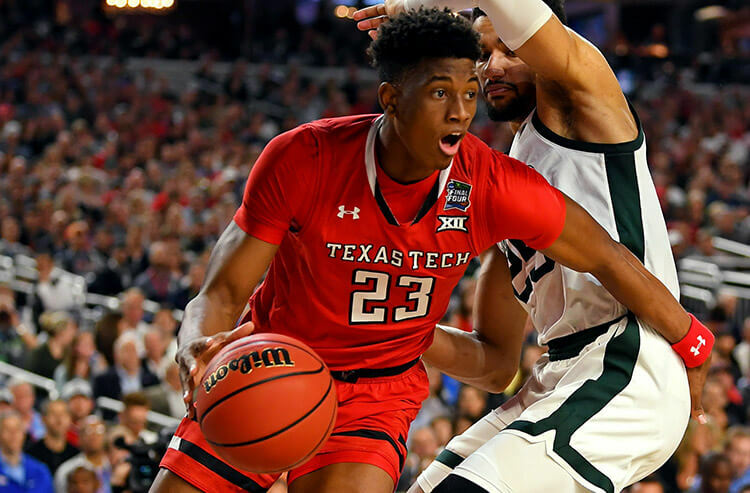 March Madness is in full swing and we've got six games in the South Region today highlighted by a defensive battle between Wisconsin and Oregon, while the two best ATS teams in the field of 64 look to continue their success. 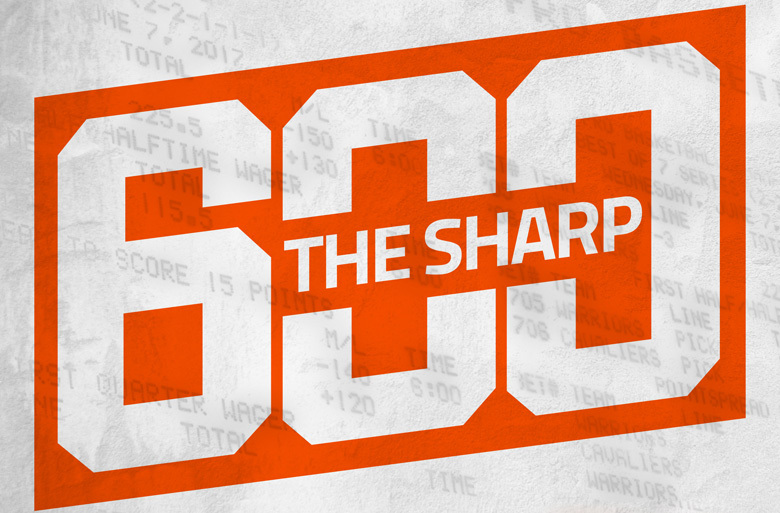 We break down our predictions and best bets for the second day of the NCAA Tournament. Both of these teams have been poor covers of late with the Hawkeyes 1-9 ATS in their last 10 games, while the Bearcats are 2-9 ATS over their previous 11. The difference is that the Hawkeyes are 4-6 straight up over that span while the Bearcats are 8-3. As an added bonus Cincinnati has to travel a mere 106 miles from their campus to Nationwide Arena in Columbus, so this matchup will practically feel like a home game and Iowa is just 3-7 ATS on the road this season. Iowa has size and can score from a variety of spots on the floor but Cincy has the more balanced team, with a tough, physical defense and a capable offense led by Jarron Cumberland and his 18.8 points per game. Back the Bearcats to win and cover. This game between 19-3 Oklahoma and 20-12 Ole Miss is almost a pick'em with just the Rebels favored by just a single point. Somewhat surprisingly the Rebels have been one of the best ATS teams in the country with a record of 23-9. When you look deeper at these teams it's easy to see why oddsmakers are predicting the game to be so close. Both have played highly competitive schedules this year and have generally lost to teams ranked highly, while mostly winning the games they are expected to. Oklahoma has the better defense, but Ole Miss has the stronger offense and both teams have good depth and athleticism. Oklahoma has the 23rd ranked defense in the country according to the KenPom efficiency rating and holds opponents to 40.2 percent shooting from the field. The Rebels averaged 75.4 ppg on the season but recently have been much less impressive on offense, with an average of 69 ppg over their last nine games. The Sooners have been an excellent Under bet all season going 12-20 to the O/U, while the Rebels have hit the Under in eight of their last 11 games. We're going to avoid the side bet (which almost looks like a coin flip) and take the Total bet Under instead. This game has upset written all over it. UC Irvine is one of the best defensive teams around, holding opponents to the lowest 2-point shooting percentage in the country at 40.7 percent. They also dominate the boards, grabbing 54.7 percent of all available rebounds which is the tenth-best rate in the nation. KSU has an excellent defense of it's own, holding opponents to just 59.2 ppg but they also score just 65.8 ppg and run just 66.2 possessions per game both marks outside the top-300. The Wildcats' second-leading (and most efficient) scorer Dean Wade is also doubtful for the game due to a foot injury. It looks like both teams will struggle to score in this one, which could make it really tough for KSU to cover the spread. Add to that the fact that the Wildcats are travelling 1800 miles for this game while the Anteaters are travelling less than 400 and we're leaning towards taking UC Irvine at +4.5. Colgate has been an excellent Over play this season (20-12 O/U) and can light up the scoreboard with 75.5 ppg. They also give up 70.1 ppg despite playing at a slow pace, which is bad news against a prolific Volunteers offense that ranks ninth in the country with 81.7 ppg. Colgate hasn't played anybody even close to as talented as Tennessee on offense and the Vols have also suffered through defensive lapses of their own, including games where they allowed 92 points to Memphis and 87 points to Arkansas. With the Raiders 5-1 to the Over in their previous six games and the Vols cashing the Over each of their last four games, back the Over again. Virginia might arguably have the best team in the country and that shows with this line which opened at a massive -24 before going slightly down. UVA is without a doubt much better in every aspect of the game than the Runnin' Bulldogs (God I love that nickname), but are they 22 points better? 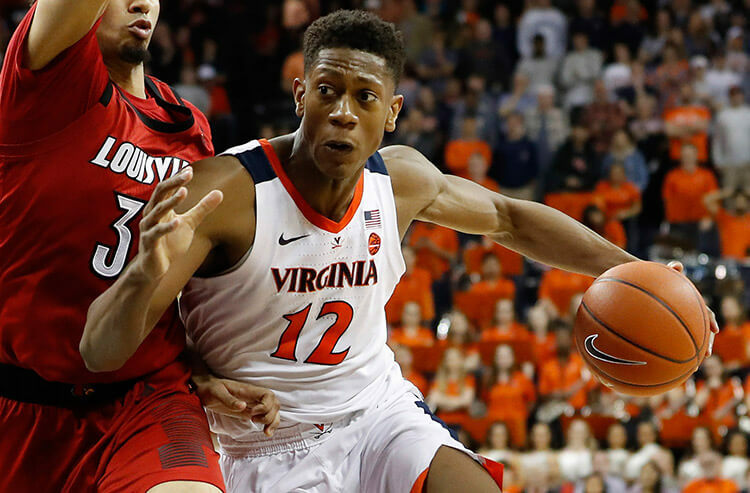 Virginia has been terrific at covering all season, their 23-9 ATS record is tied with Ole Miss for the best out of any team in the Field of 64. More importantly for bettors, the Cavaliers have covered in nine of 11 games this season where they were favored by at least 18 points. If you think that they might relax towards the end of the game and let Gardner-Webb cover late, the first half spread at -13.5 might be good choice. 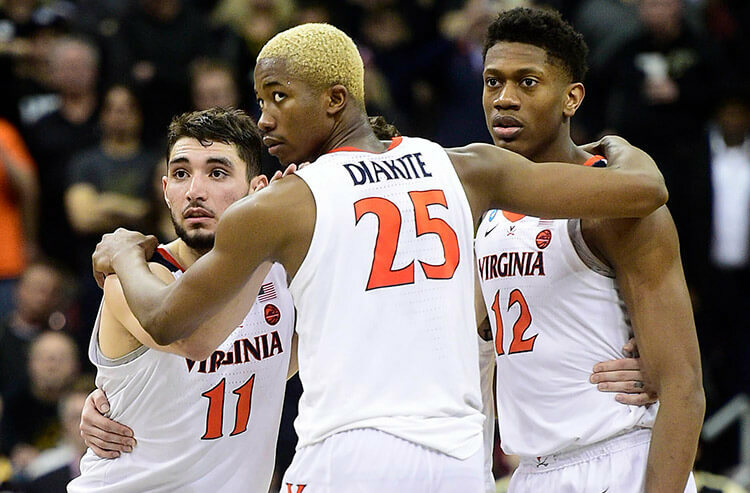 Virginia did average a first half scoring margin of +9.5 over the season and should be eager to take out their frustration after a rare loss in their last game against Florida State. How low can you go? That's what bettors might be asking with this matchup. This game has all the makings of a defensive battle, featuring two teams with excellent defenses and below average offenses that play at a slow tempo. The total is set at 116.5, the lowest total off all games in the South Region. While Oregon has a very impressive defense that allows just 62.9 ppg on 40.2 percent shooting, Wisconsin is even better holding opponents to 61.4 ppg on 39.3 percent shooting (and against better competition in the Big Ten). Both teams are also more than capable of hitting the three-ball. The big difference maker is inside, where Wisconsin has big man Ethan Happ. Happ is a load down low who can rebound and score close to the basket. Perhaps more importantly his presence inside opens things up for Wisconsin's shooters, and Happ is an excellent passer that likes to kick it out to them when he sees them open. One other thing that gives Wisconsin the edge in this one? They seldom make mistakes. The Badgers committ only 9.5 turnovers per game, the sixth-lowest figure in the nation and their 15 personal fouls per game ranks 15th. Back Wisconsin to win and cover the two points.